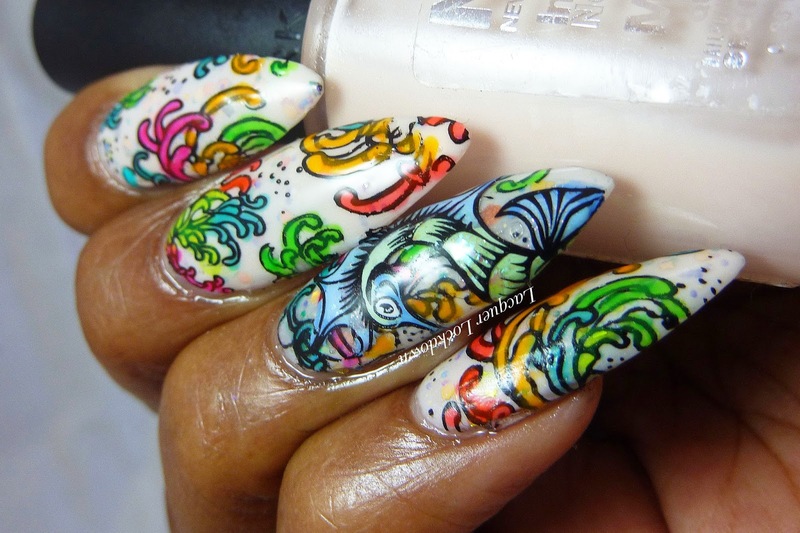 Welcome to my version of the sea ;) The coral is neon and the sea life blooms in shades of pastel. Its pretty and whimsical and just really damn fun! 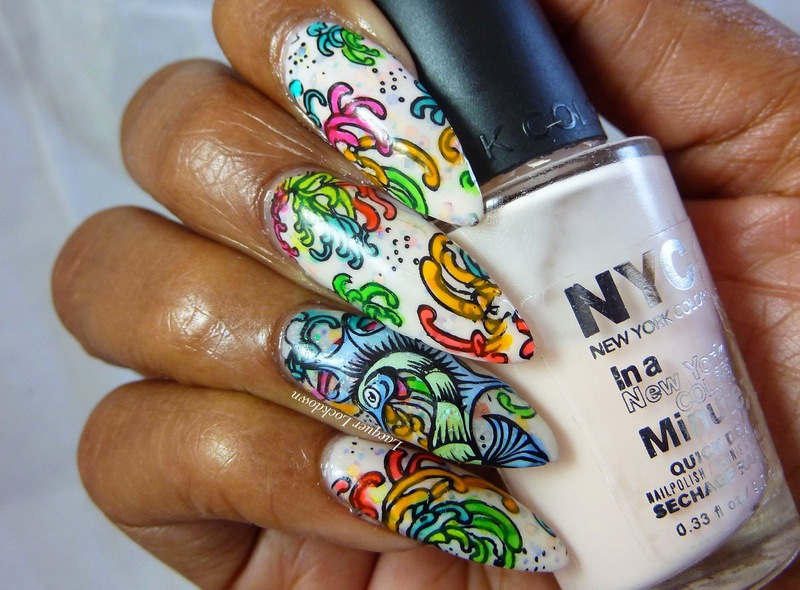 I can't even tell you where I got the idea for this mani because it all started with the basecoat. I just wanted to create a jelly sandwich. Initially I had been thinking of doing something sheer and dramatic then I decided to take my Leadlight Lacquer plates for a cruise again (you can read the review here) and the rest as they say is history. For those that are like, "What happened to your lovely square shaped nails?" and don't follow me on Instagram - the short version is I had two devastating breaks in as many days and decided to try out some tips and a different shape. 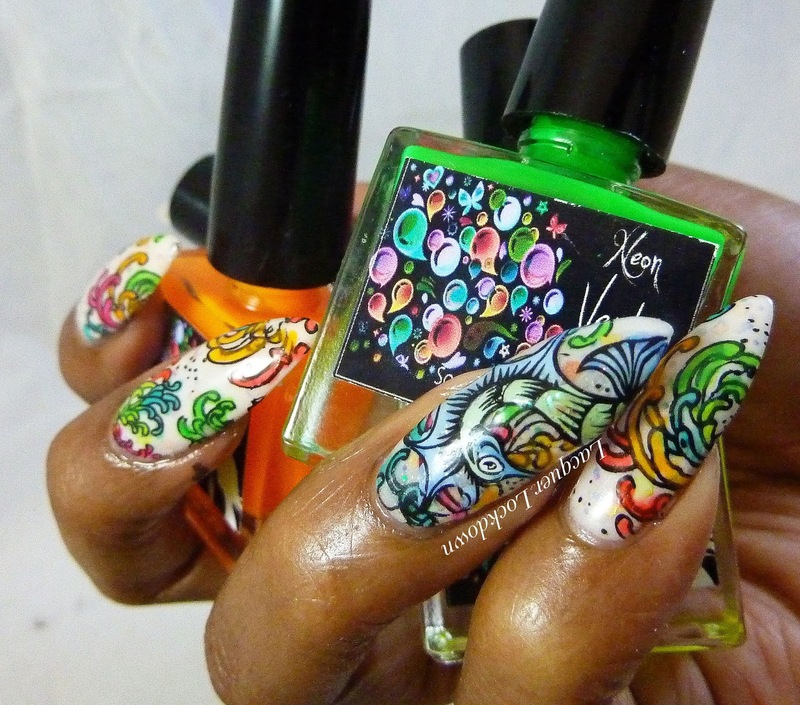 I just got these Neon Soap Bubbles polishes from EdK and I love them! From the moment I saw them I was done. I wanted them so badly I hounded poor Katia to death trying to make sure they drifted into my greedy little paws mwhahahahahaha. Ok let me dial it back a bit, but aren't these epic? The only thing missing from this set is blue, but since I have a few homemade sheer tints I fixed that lickety split. 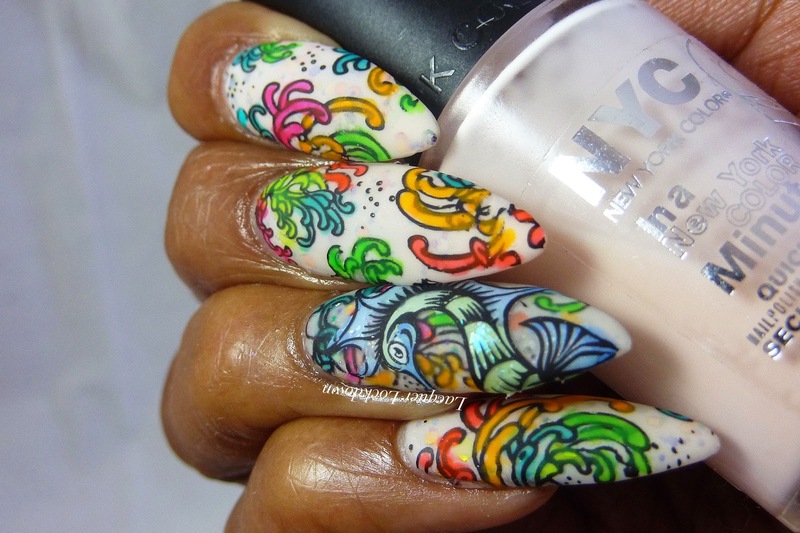 I also tried matiffying this to see if the seahorse and colors would pop more. I'm not sure which version I like more since in both the seahorse is perfection and I don't mean what I did with it! I mean in general the MM29 plate makes my heart skip beats I love it so much! When I realized my nails were becoming like the ocean I started digging through my Messy Mansion plates to find this one. I was either gonna break out the fish again or something else but the seahorse beckoned. I have a question...I've just recently discovered what leadlight polishes are..being new to the nail art/stamping world. But what on earth are leadlight stamping plates? I tried to google it but I'm still confused or did I misread? No you didn't misread it. Messy Mansion is the company that made a series of plates called Leadlight Lacquer plates which I am using in this post. The owner is also the woman that invented the technique of leadlighting hence the plates. I put a link to the plates and talked about them in the last paragraph. I also have a link to a review of them up in this post in the first paragraph. You must have missed it :) They are really fabulous plates though so I'd definitely check them out. If you want to see more designs using them too you can click the Lead Light Lacquer tag on my blog and they will pop up. Oooh okay. I read all that and went to the link but then I thought they were some sort of special plates made for leadlight polishes which made me even more confused. Now I see that it's a series of plates called Leadlight. :D After all the interesting things I've learned about stamping in the past few days I was ready for anything..lol Thanks! What a gorgeous manicure, and I love your nails! This is absolutely stunning. 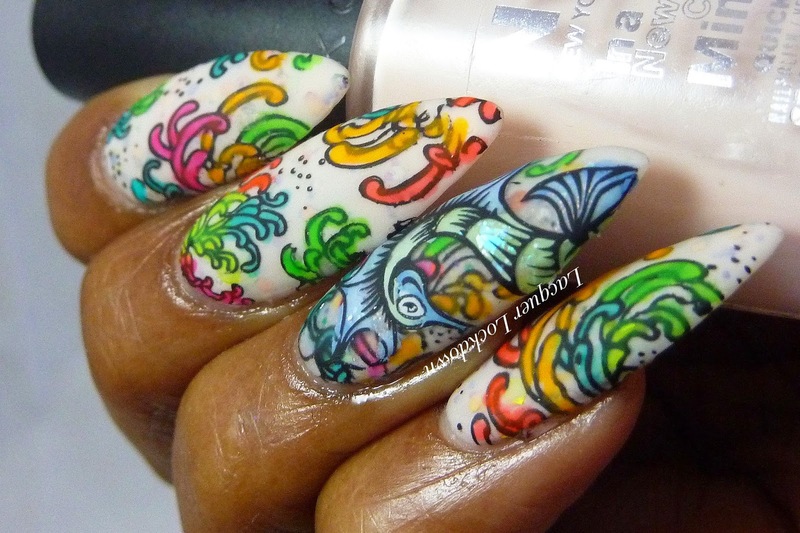 What fantastic nails.